Fits on to existing timber Description: 150 mm Ogee UPVC Plastic Cover board. Fits on top of timber backing board Dimensions: 150mmx 5m .. Fits on to existing timber Description: 175 mm Ogee UPVC Plastic Cover board. Fits on top of timber backing board Dimensions: 175mm x 5m .. 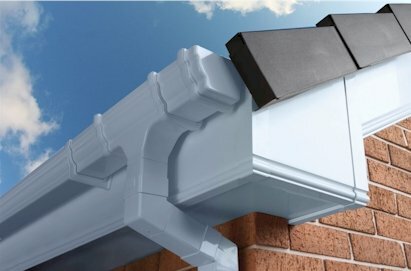 Fits on to existing timber Description: 200 mm Ogee UPVC Plastic Cover board. Fits on top of timber backing board Dimensions: 200mmx 5m .. Fits on to existing timber Description: 225mm Ogee UPVC Plastic Cover board. Fits on top of timber backing board Dimensions: 225mmx 5m .. Fits on to existing timber Description: 250mm Ogee UPVC Plastic Cover board. Fits on top of timber backing board Dimensions: 250mmx 5m .. Fits on to existing timber Description: 400mm Ogee UPVC Plastic Cover board. Fits on top of timber backing board Dimensions: 400mmx 1.2m .. Fits on to existing timber Description: 400mm Ogee UPVC Plastic Cover board. Fits on top of timber backing board Dimensions: 400mmx 2.5m 5m available collection only. .. Description: Stick On Fascia corners 90 degree .. Stainless steel white-headed nails The average content of 200 pieces of pins per box ..